Este mes de julio se ha caracterizado por un ritmo constante en Mármoles Moratonas, ¡con muchas novedades! . Como noticia principal de esta visita podemos ya contaros que hemos decidido renovar el contrato de exclusividad con ellos para los próximos 2 años. 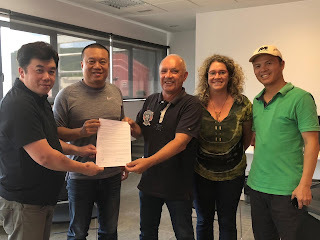 Esto es una gran noticia ya que significa que el mercado asiático sigue colaborando con nosotros para poder distribuir nuestro material estrella MOON GREY, por todo el continente Asiático. Para hacer oficial este acuerdo, se firmó la unión comercial, mediante la firma del contrato. Para nuestra empresa se trata de un acuerdo muy positivo y nos llena de satisfacción poder seguir trabajando con una empresa de gran renombre cómo la suya. En nuestra próxima participación en la Feria del sector: Marmomac 2018 (26-29 septiembre), estarán a vuestra disposición para poder atender a todas vuestras consultas, cómo distribuidores exclusivos de nuestros Bloques en China. This month has been characterized by a constant rhythm in Mármoles Moratonas. The activity has been frenetic in our quarry, where we have loaded blocks for the deposit and stock of material for our customers located in China. Likewise, we have received a very special and important visit. 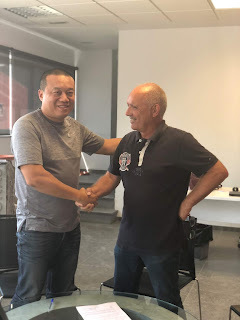 We have visited some important customers from China, and we have taken the opportunity to share opinions about the sector that unites us: natural stone. Before starting the summer holiday period, our customers are taking advantage to come and see our material and order their needs. Our guests have been able to visit our facilities and move to the quarry where they have been able to choose and check firsthand the material that most convinces them. As the main news of this visit we can already tell you that we have decided to renew the exclusive contract with them for the next 2 years. 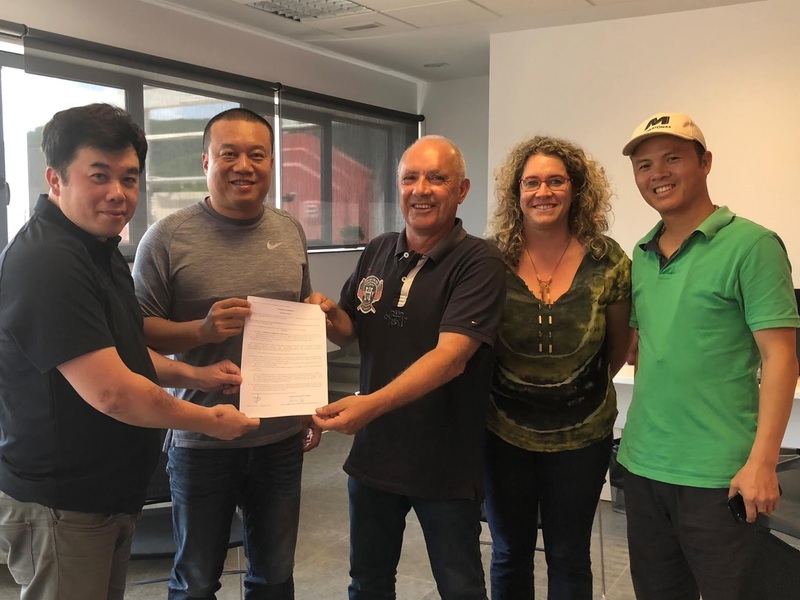 This is great news because it means that the Asian market continues to collaborate with us in order to distribute our star material MOON GREY, throughout the Asian continent. 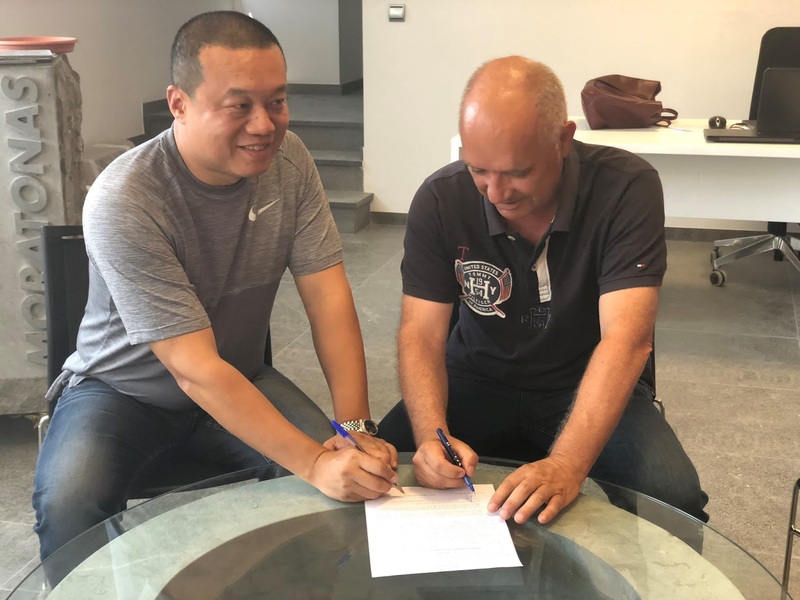 To make this agreement official, the commercial union was signed by signing the contract. For our company it is a very positive agreement and we are pleased to continue working with a company of great renown like yours. In our next participation in the fair of the sector: Marmomac 2018 (26-29 September), they will be at your disposal to be able to attend to all your queries, as exclusive distributors of our Blocks in China.